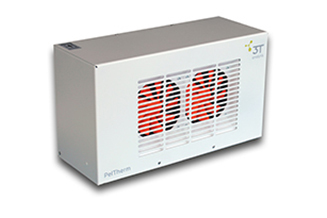 PelTherm is a high precision temperature control system designed as an embeddable module for e.g. laboratory robot stations. 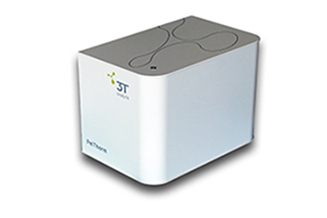 It features up to six independently operating temperature units in the size of microtiter-plates. It offers high precision temperature control between -2 °C and +80 °C. The maximum temperature gradient for heating is 10 °C/min., the maximum cooling rate is 6 °C/min. The temperature units are connected by cabling to a control unit and by tubings to a cooling unit. The small size of the temperature unit makes it so easy for integration. 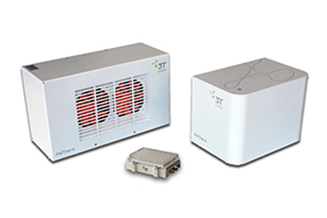 Up to 6 temperature units can work independently at the same time. The build-in peltier element features precise temperature control, fast heating and cooling. 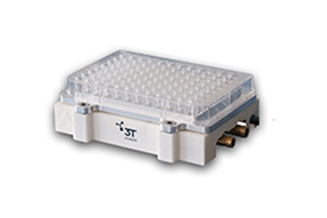 3T analytik provides also adaptor plates for deep well plates (DWP), micro-titer plates (MTP), lab tubes and plates. The control unit (size 362 x 240 x 265 mm) is connected by USB to the computer monitoring the laboratory robot station.In order to integrate the PelTherm´s control, an application programming interface (API) is provided. The cooling unit (size 505 x 250 x 300 mm) connects the Peltier subsystems in daisy chain fashion, forming a closed loop liquid cooling circuit. An electrical pump transports excess heat to a radiator equipped with ventilators. Noise is 43 dB under full-load.